As it currently stands, thanks to the Federal Agencies inability to work with the vaping industry, within the next 3 years over 95% of the products on the market will be gone due to over zealous regulations that are designed to destroy. This is not a hypothetical question but one which has very real consequences on main street. Between 65 and 70% of the 9040 respondents answered that if their favored brands disappeared due to these regulations they will buy their e-cigarettes and e-liquid from a non-licensed vendor, import product from overseas, and/or mix their own e-liquid at home. Prohibition has been tried with several products in the past, Alcohol, Drugs and various other things were removed from public access through legal means but if people want them, they will find less than legal means to get what they want. Black markets exist, normally outside of the regulatory overview of the government, so the FDA’s attempt to create a safer market place will blow up in its face. Less than 20% said that they would use FDA approved products. Vapers have made it their mission to become educated on the regulations and understand that by 2018 the only items left on the market will be owned by companies who can withstand the multi million dollar per product application fee’s and that those products will be inferior to the vaping devices sitting in stores today. The FDA is aiming to push people to closed systems like the e-cigs found in convenience stores and while there is a market for those, third generation Electronic Nicotine Delivery Systems offer so much more. This research shows there is an enormous gulf between the expressed intentions of the FDA and what many e-cigarette users see as being the likely impact of the regulations. Basically, by attempting to regulate the industry out of existence, the only thing the FDA will accomplish is taking the products out of regulatory view. The components required for making e-liquids are easy to come by, it’s not like you need a pharmaceutical licence to walk into Walmart and buy Vegetable Glycerin or the flavorings used in the products. 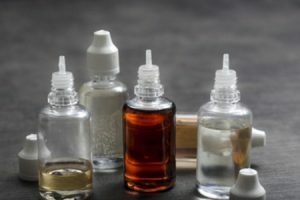 But rather than creating a safer environment, the Government will be pushing people who may not have the skill required for safely formulating e-liquid into putting together concoctions in their kitchen and causing more harm than good. The vast majority of the respondents are ex-smokers, while only 15% said they would go back to cigarettes and of those who are dual users a third said they would consume more tobacco, you still have to ask if the FDA is trying to create world with less harm from tobacco why would they be intent on pushing people back to it. 65 – 70% admitted theyd go to the black market. the other percentage would likely go black market as well, just werent willing to admit it. or they’d get from someone who they themselves got from the black market. the FDA’s prohibitionist approach will not work. prohibition has been a proven failure time and time again.